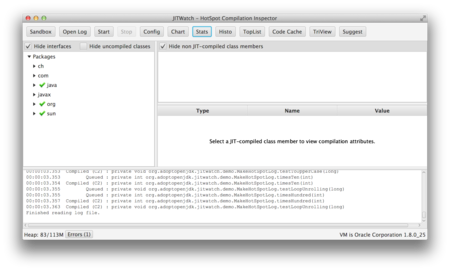 GitHub - AdoptOpenJDK/jitwatch: Log analyser / visualiser for Java HotSpot JIT compiler. 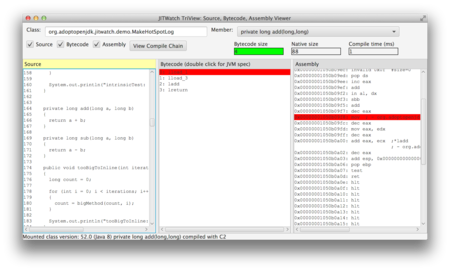 Inspect inlining decisions, hot methods, bytecode, and assembly. 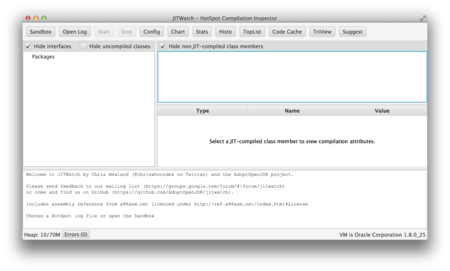 View results in the JavaFX user interface. 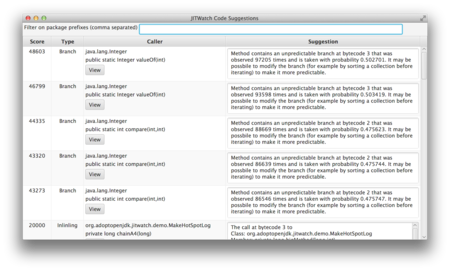 The callee method is 'hot' but is too big to be inlined into the caller. 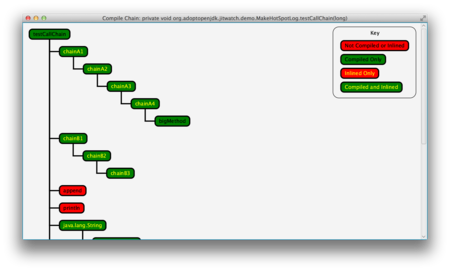 You may want to consider refactoring the callee into smaller methods.